EVERYONE knows a hustler. They’re the person who goes from contract to contract, dabbling in project design work one week, driving for Uber the next. They haven’t been through an employee induction in years and they can’t remember the last time they had colleagues. In workplace speak they’re also known as “slashies”: those who lay claim to a wide range of talents, with social media descriptors that sound like six different people rather than one person’s CV. As in: ‘yogi/explorer/blogger/solopreneur/web activist/vlogger’. While some of these titles are merely attempts to sound busy — and multiskilled — careers experts argue the sideline gig economy, and their attendant slashies, is a portent of how many of us will be working in the future. A 2016 Ernst & Young report predicted that by 2020 almost one in five US workers will be engaged in contingent jobs, such as driving for Uber or designing websites on Airtasker. But it’s not just students and professionals in between jobs who will be gigging. “The on-demand economy is no longer restricted to platforms like Uber and Airtasker,” said CEO of freelance talent market place Expert360, Bridget Loudon. Ms Loudon pointed to the increasing dominance of millennials in the workplace who offer very different ideas on what constitutes a career structure. A 2016 Deloitte survey of nearly 7700 millennials from 29 countries found only 27 per cent intended to stay with their current employer for more than five years. Two-thirds expressed a desire to leave their current posts by 2020. The Ernst & Young report also found that more than half of the giggers see contingent working as a way to progress their career and a majority (52 per cent) would not prefer fulltime permanent employment. Executive manager of digital, marketing and communications at Randstad, Leigh Duncan, said gigging had already been incorporated into highly skilled roles. Ms Duncan used the example of web UX (user experience) designers who worked on a contract basis and were able to charge $1000 a day. “There are universities in the US dedicated to teaching people to be UXers and this was a job that wasn’t around 10 years ago,” she said. Ms Duncan has also noticed a surge in the number of gigging jobs in advertising, with digital producers, creatives and project managers earning anywhere from $400 to $1000 a day. “So much can be automated, but we can’t automate ideas and creativity and that is what people are after,” Ms Duncan said. Ms Loudon said her consultant and contingent workforce platform was experiencing a high demand for digital-related short-term projects. “But also HR, organisational strategy, business strategy and process design projects are hot spots for companies,” she said. Steve Shepherd, who runs a career guidance service for millennials called TwoPointZero, argued that the hustle economy could be particularly beneficial to young workers trying to notch up much-needed experience. “A lot of entry-levels jobs are moving offshore and gigging is a good way for young people to gain experience,” Mr Shepherd said. But gigging doesn’t come naturally to everyone. Mr Shepherd said while some workers loved being their own boss, others struggled with the isolation. “As human beings we like to belong, so you need to ask what the effects are of people working in isolation,” Mr Shepherd said. There seems to be two tiers to the hustle economy as well: those who partake because they can earn decent money on an on-demand basis from a highly specialised skill, and those who are forced to gig because of a paucity of real employment options. “If you want to earn a bit of extra money on the side through Airbnb then that is very different from someone who is delivering food on an independent contract basis as their sole income,” Mr Shepherd said. “If you injure yourself when delivering the food, if you fall off your bike, you don’t get sick leave and you don’t have access to workers’ compensation. 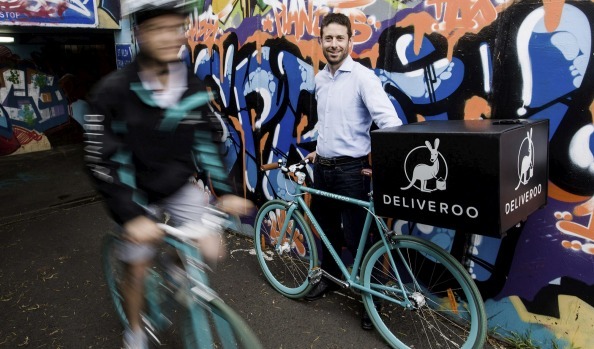 Ms Loudon agreed that a healthy gig economy could only evolve with proper protections for those at the low-skilled end, and cited the recent Airtasker agreement with Unions NSW as a step in the right direction. “Participants in the gig economy need to be looked after because technology often develops at a much faster pace than legislation,” Ms Loudon said. “We have outdated worker classification systems that don’t adequately describe these new models. You’re either fulltime, a consultant or an independent contractor. Employment law expert and partner at Hall and Wilcox, Kylie Groves, agreed the law wasn’t keeping up with industry developments. “There is an uncertainty for both employees and employers,” Ms Groves said. “We might need to move away from long service leave and the idea that people who stay in the one job for ten years are rewarded. “We might need to remove casual loading and instead extend sick and leave entitlements to all workers.